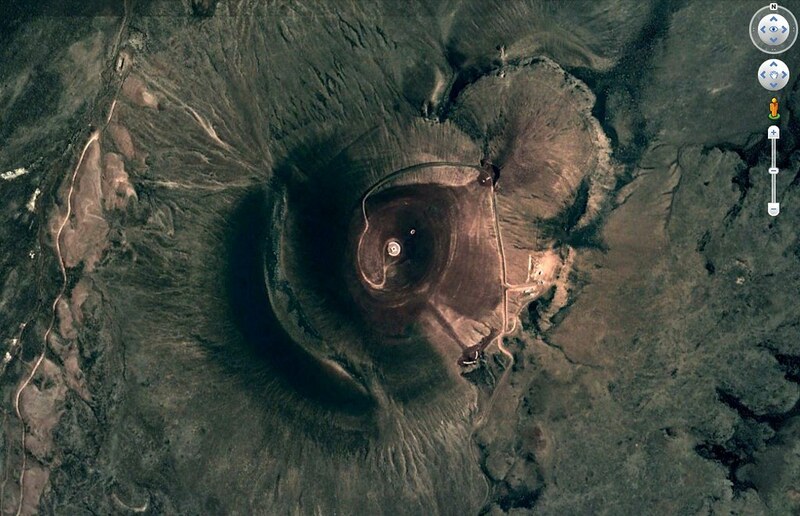 January 2011 – Where On Google Earth? 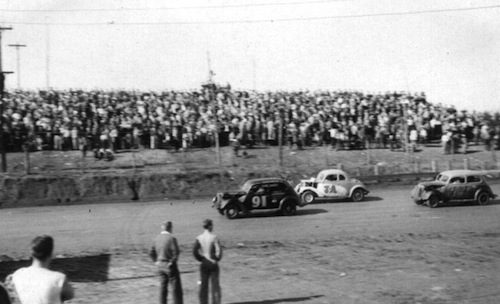 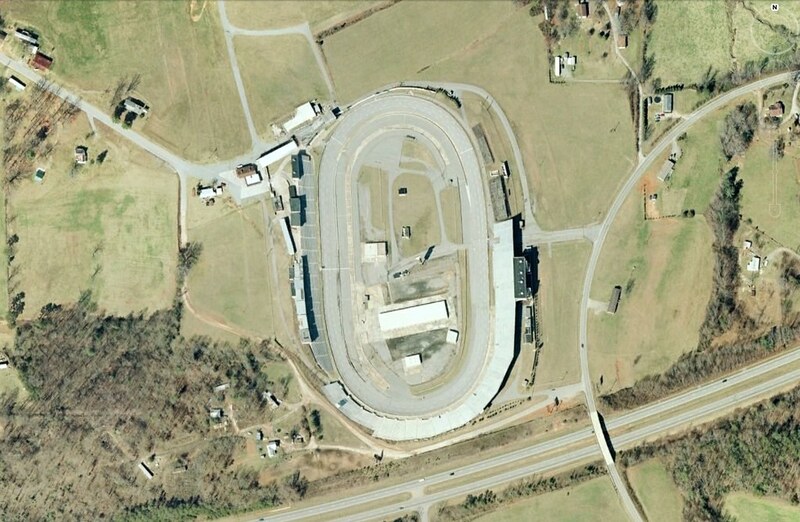 The Wilkes County Region in North Carolina is considered as the birthplace of NASCAR racing, which has his origins in the ‘moonshine running’ operations during the Prohibition in the 1930’s. 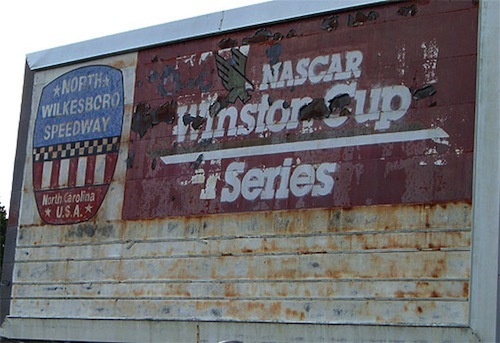 The North Wilkesboro Speedway is named as ‘the root of stock-car racing’ and was abandoned by NASCAR due to the conditions of the track in 1996, but is back in business again. Hashima island is a now abandoned former coal mine facility some 15 km SW from Nagasaki. 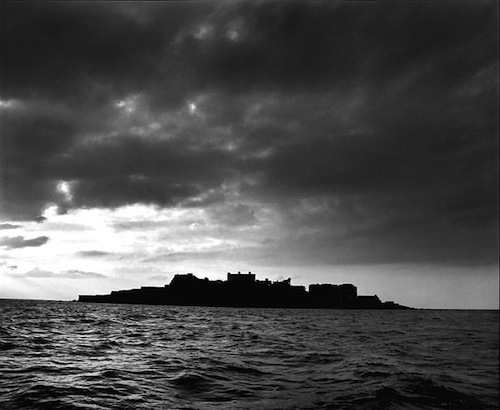 In 1870 it was acquired by Mitsubishi for their coal-mining operations below the seabed. 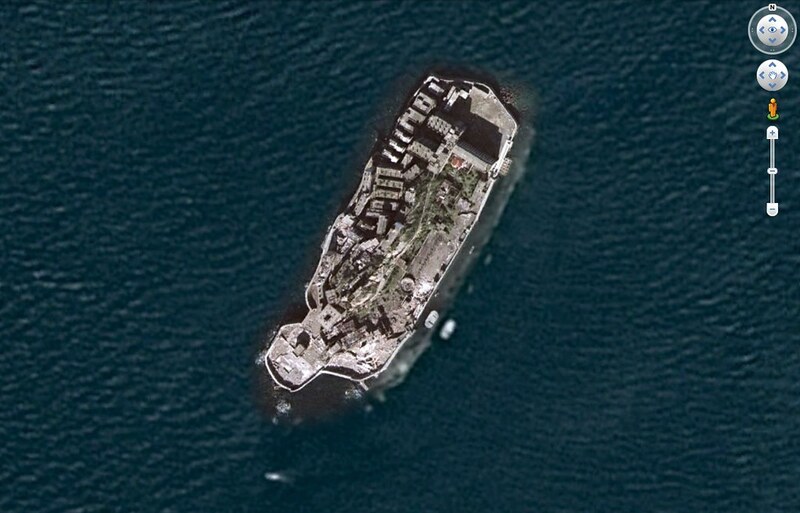 At the top of the operations, Hashima housed some 5000 people, that is a stunning 83,500 people per square km. 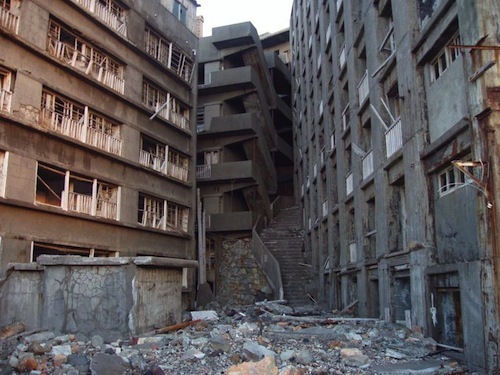 The nickname of Hashima is ‘Battleship Island’ (Gunkanjima). 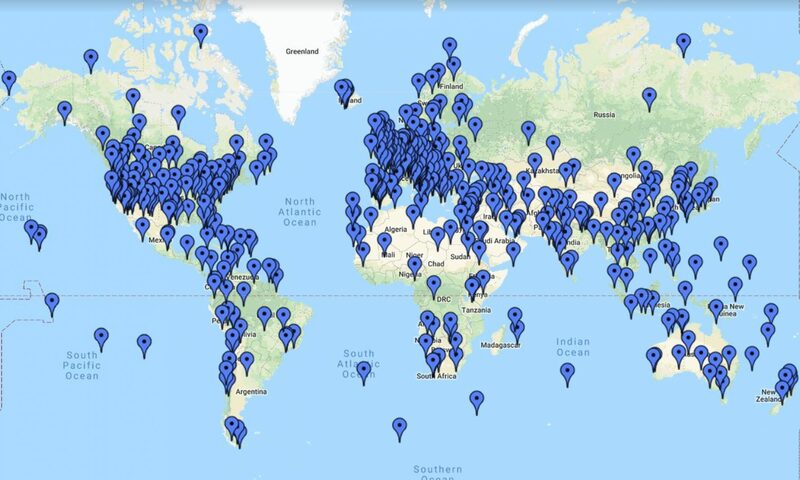 This picture shows why. 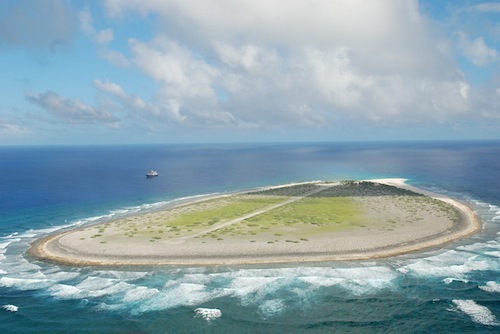 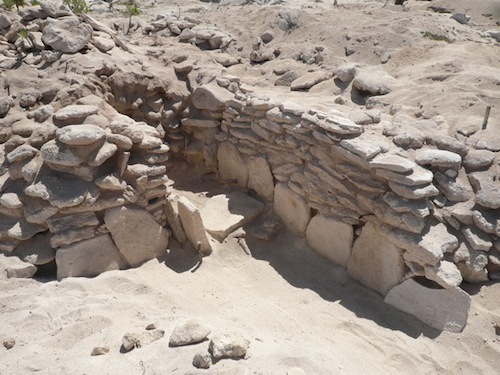 The island was abandoned in 1974 and is now open for guided tourist visits. 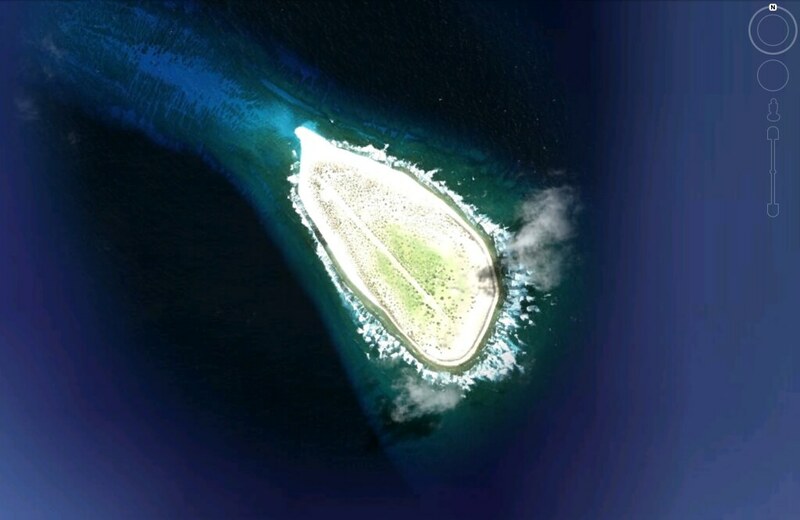 There is a very beautiful photoblog of this island.